Have you ever been tasked with finding a criminal defense attorney for yourself or a loved one? It is quite a serious matter. It is imperative that you get the best criminal attorney. Your livelihood very well depends on it. You need a GREAT criminal lawyer. No matter what crime you have been charged with, you have the right to a defense. Matter of fact, it is a constitutional right. You want to make sure you hire the best person for that job. It may very well mean the difference between walking out of a court room or going to prison. A criminal defense attorney reviews your case and advises you on what your defense is. Once you have hired your attorney, he is now your voice in the court. He will gather all the information on your case: police reports, any evidence obtained by law enforcement used to arrest you, any video evidence, testing done by crime labs and much more. Your attorney is tasked with defending you against what you have been charged with to what hopefully is, a positive outcome for you. It is very important to be be 100% honest with your criminal defense attorney. He/she is on YOUR side. Once you have retained counsel, follow their advice. Some clients are already incarcerated. No worries, your attorney can visit you. Everything you tell your attorney is confidential. So, be honest and they will be betetr able to help you. One of the biggest criminal cases of our times, was the OJ Simpson case. He was acquitted of two murders. His attorney was Johnnie Cochran. Mr. Cochran successfully defended his client and was made quite famous for it. You may or may not be guilty of the crime you have been charged with. That is why it is so important that you choose the RIGHT criminal defense attorney. Your rights may have been violated, such as not being read the Miranda warning. “You have the right to remain silent. Anything you say can and will be used against you in a court of law. You have the right to an attorney. If you cannot afford an attorney, one will be provided for you." There are so many variables when it comes to a criminal defense. That is why you want to hire the best criminal defense attorney that is experienced, knowledgeable and cases in the "win column". This is so important in this day and age of people being wrongfully accused and wrongfully convicted, only to be exonerated at a later date. It is important that you know all your rights and have the best defense available to represent you. 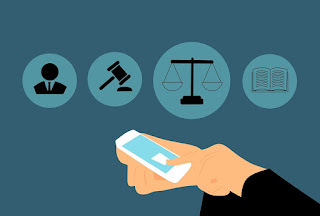 Many criminal defense attorneys can be found online, by word of mouth, or recommended by a friend or family member. You don't want to be sentenced to jail or prison and that is what you attorney is for: to assist you in mounting a defense against what charges have been filed against you. Even if you ARE GUILTY, your attorney can work out a plea deal to get you a lesser sentence or reduced charges.